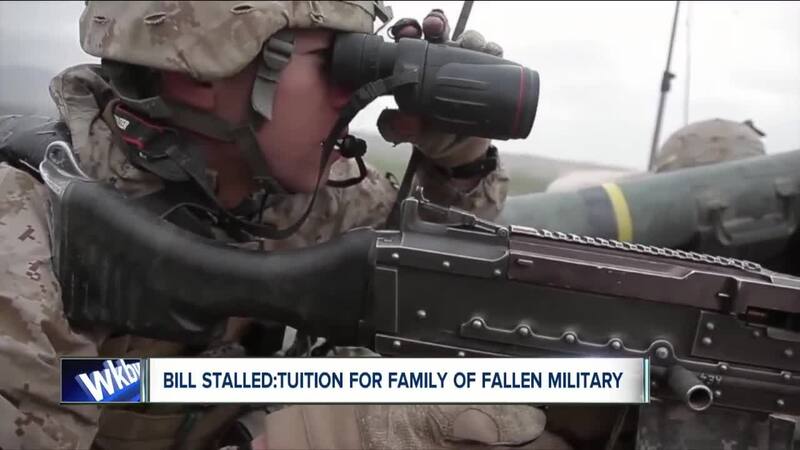 BATAVIA, N.Y. (WKBW) — Take care of the families of military men and women who died while serving, that's what some in Albany are calling for. Some lawmakers want to do that by providing dependents of fallen service men and women with a free SUNY and CUNY education. Republican Assemblyman Steve Hawley from Batavia wrote the bill. Tuesday, it was tabled in committee. “We just passed a $176-billion dollar budget, and to not be able to take care of the offspring, spouses, the families who paid the ultimate sacrifice, is mind boggling. It's not right,” said Hawley. The bill was not tabled on party lines. Democratic Assemblywoman Karen McMahon from Amherst voted to move it to the assembly floor. Governor Andrew Cuomo supports the bill too. “And we have a moral obligation, a social obligation to help those families who lost their provider in their service to this nation,” said Cuomo after a speech at Buffalo State, Wednesday. Fifteen lawmakers voted to table the legislation. Assemblywoman Deborah Glick, is the Chair of Higher Education Committee in the Assembly. She said, it was tabled because of a lack of hard numbers in the proposal and because the Merit Scholarship already exists. That scholarship does something similar to this proposal, but does not guarantee a free ride throughout college. Hawley says his bill would change that. “So this would fill in the gap if you will. We don't want any veteran’s family falling by the wayside,” said Hawley. There are programs, such as the Excelsior Scholarship and others in the VA that would help these families. Hawley says his bill would be designed for a very small group of people.